I called in at Walkley over the weekend. We were passing through Sheffield and decided to call in for a cup of tea with The Lad and Laddess. We walked down into Walkley and I enjoyed what must have been the finest croissant I've had in years, at a local bakery and coffee house. Later, looking around one of the Walkley shops I even managed to surreptitiously acquire a new book - "A Walkley Camera" by J R Wrigley. This is a collection of old photographs of the Walkley district of Sheffield, although it must be said that I appear to predate many of the "historical" images: a fact which didn't exactly make me skip with the joy of youth as I wheezed my way back up the hill the The Lad's house. My return to Walkley (an area I lived in some thirty-five years ago), prompted me to take a return look at the "Walkley Hoard" (a vast collection of old negatives I bought for a few pounds a couple of years ago). One of the charms of old negatives is that you have little idea of what you have bought until you have done a fair amount of scanning and editing. 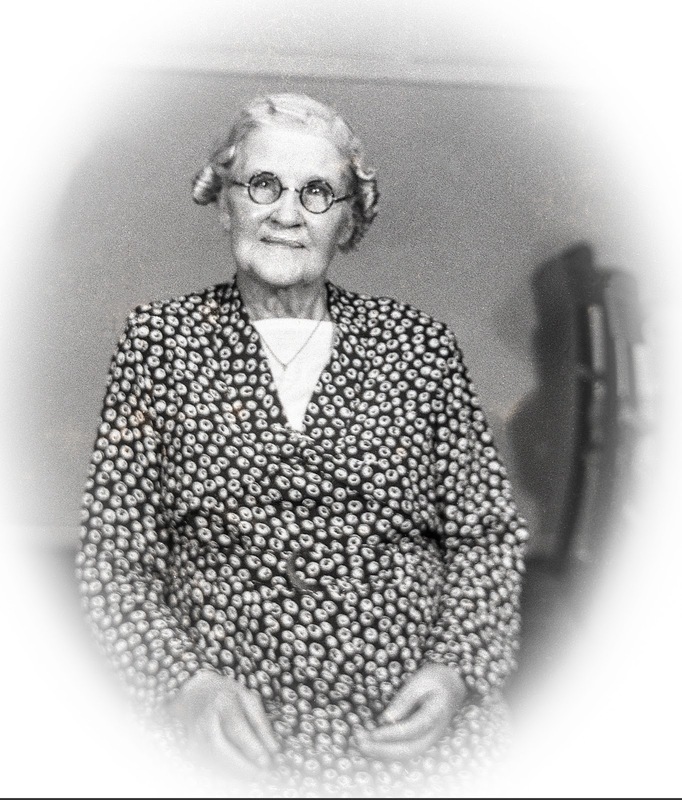 It might be a photograph of Grandma looking very smart in her Walkley parlour, or it might be a photograph of a local canal. The canal photograph is a particular beauty. 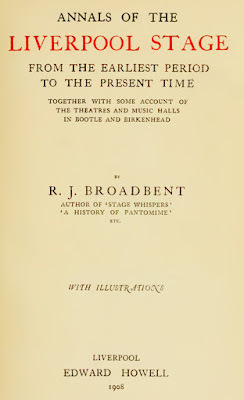 Granted, it is a little blurred and a trifle faded around the edges, but there is something quite magnificent about it. 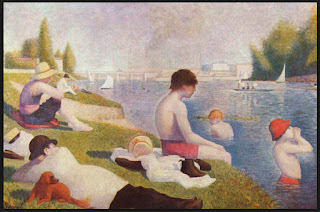 It has something to do with the position of the man with the flat cap (could that be Grandpa?) and the children watching the canal boat pass by. For whatever reason it reminded me of one of those paintings by Georges Seurat that have figures reclining on the banks of the Seine. Given that the finest croissants now seem to be available in Walkley, perhaps the River Seine really does run through the steel city! The central heating went off the other day. There is nothing particularly noteworthy or unusual about this - our central heating system fails with the regularity of England's football team - and the problem can normally be solved by moving the brick from the door of the outside boiler house, pressing a completely random combination of buttons and giving the high technology, digitally controlled equipment a quick kick (I suspect the same solution would improve the prospects of our national football team, but that is another blog-post). On this particular occasion I went outside to deliver the necessary kick and the Good Lady Wife insisted on accompanying me. She has got it into her head that, given my carbohydrate-rich diet and my generous waistline, I might not be long for this world and has suddenly taken an interest in understanding the basic mechanics of keeping the house operational in my unfortunate absence. 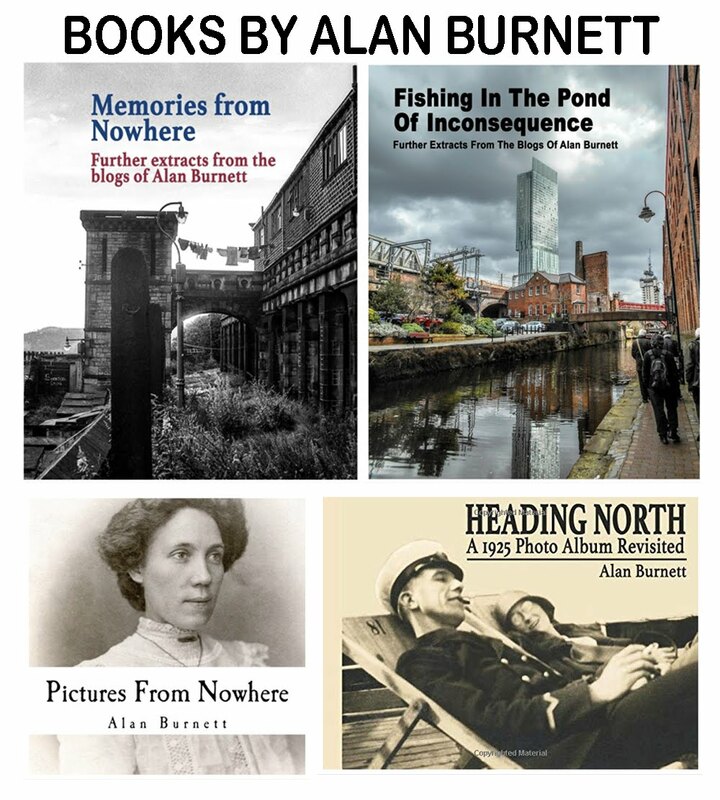 It was only as I opened the brick-propped door that I remembered my little arrangement with the postman to leave any books being delivered to our house in the boiler house. Such an arrangement had the advantage of him being able to deliver any little book-filled parcels even when I was out and the even more substantial advantage of keeping such purchases from the inquisitive eyes of my GLW who has placed a blanket ban on further acquisitions until I get rid of some of the existing stock. 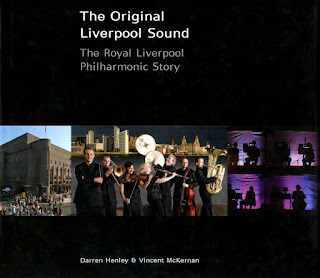 Sitting on an old plastic box awaiting my attention was a pleasingly large parcel which turned out to contain a second-hand copy of an illustrated history of the Royal Liverpool Philharmonic Orchestra entitled "The Original Liverpool Sound". My attempts to justify the purchase on the grounds of necessary genealogical research cut about as much ice as the failed central heating system, and I was given a final warning about future book purchases. 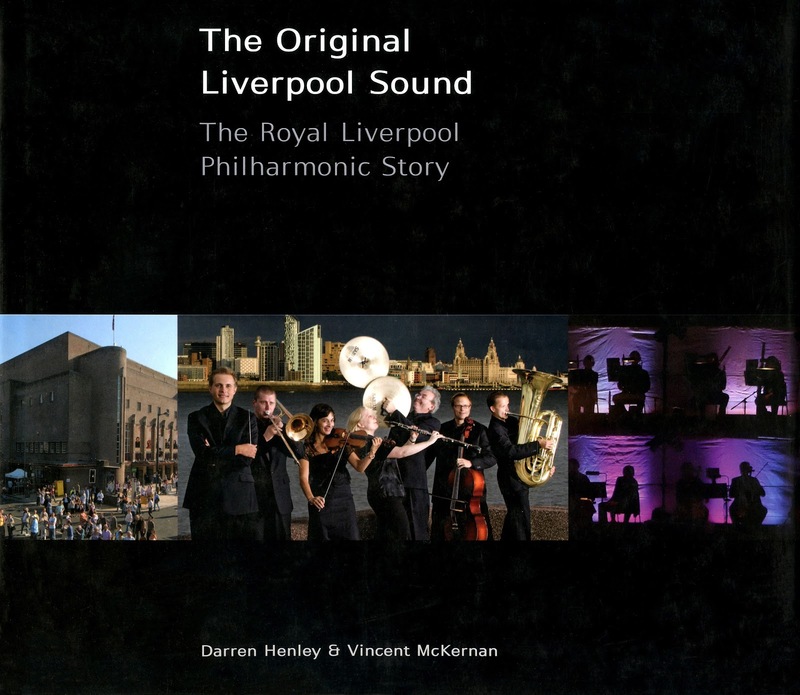 I wouldn't mind, but my sudden interest in the Liverpool Philharmonic was brought about by the history of the family of my GLW rather than my own. A story emerged recently about her grandfather - Charles Frederick Usher - having a "music room" in his house where he kept his cello as he was a member of the Liverpool Philharmonic Orchestra. I found this story somewhat dubious - all the records I have ever seen suggest that Charles Frederick wove rope fenders for the Liverpool docks rather than sweet symphonies for the Liverpool gentry. A quick read of the rather enjoyable history book that emerged from my boiler house provided ample evidence of names such as Paganini, Charles Groves and Sir Malcolm Sargent - but nothing at all about any Ushers. 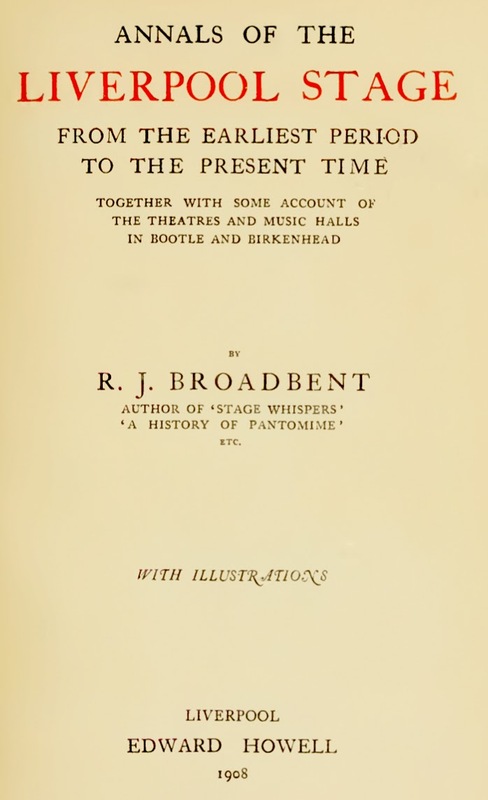 I always thought that the Usher lot had a slightly grandiose view of their place in the world and therefore suspected that, at best Charley Usher, might have played second fiddle in a Music Hall pit band, and in order to pursue this particular line of research I have just acquired a copy of R J Broadbent's "Annals of The Liverpool Stage". However, just in case the GLW is reading this and about to rush into the boiler house to intercept yet another delivery of "those old and mouldy books you are so fond of", let me assure her that it is a PDF copy that takes up the space of half a human hair on my computer hard drive (and if you believe that, you probably believe that Charley Usher was the chief cellist of the Liverpool Phil!). Our Sepia Saturday theme this week features the same person at two stages in her life. 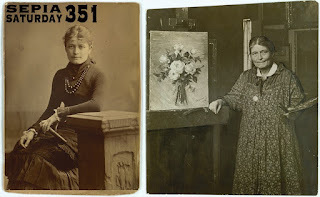 The ability to look at young and old side by side is a unique view available to the lover of old photographs (it is our "sepia bonus") and such a comparison opens up a wealth of possible lines of speculation. We can view the effects of time, we can isolate those aspects of a face - or indeed a personality - that remain constant irrespective of age. We can tell a life story in a few thousand pixels. 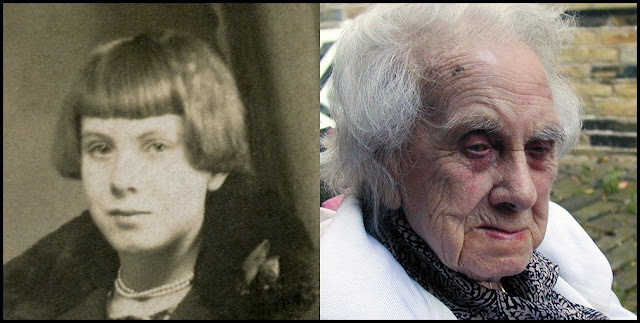 I am using for my example, two pictures of my mother - Gladys Beanland who went on to become Gladys Burnett. 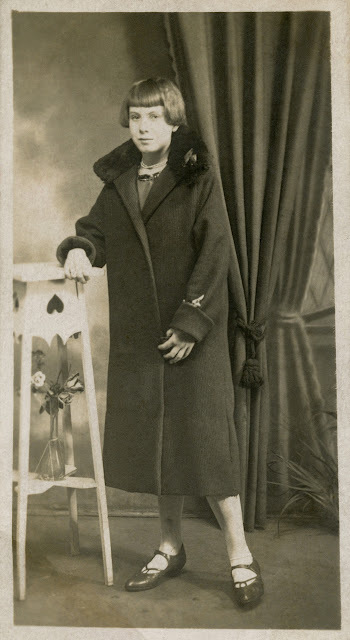 The first photograph (which is such a fine photograph I am reproducing it in full below) must have been taken when she was in her late teens - so that means around the end of the 1920s. At the time she was working in one of the many mills in the Bradford area, but she gathered together her very best clothes and went to a local studio for her photograph to be taken. The second photograph was taken in May 2004, when she was 93 years old and within a few months of her eventual death. 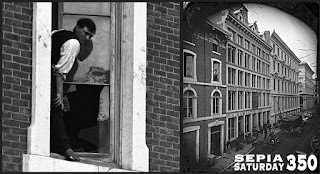 There is probably almost seventy-five years between the two photographs but what unites them far outweighs what divides them. 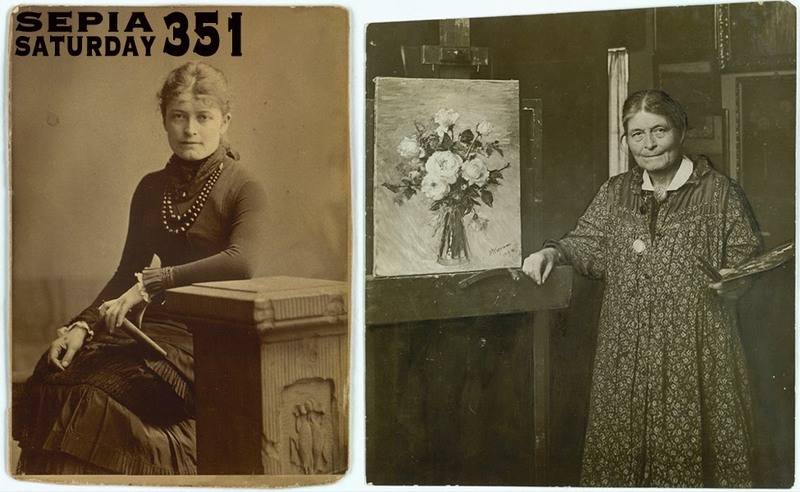 That hint of a knowing smile makes you almost believe that she could see a long and fulfilled life in front of her in the first photograph just as clearly as she could look back on it in the second photograph. You could occupy many a rainy afternoon by trying to work out the context of this photograph which was rescued from the old and unwanted box of photographic orphans. 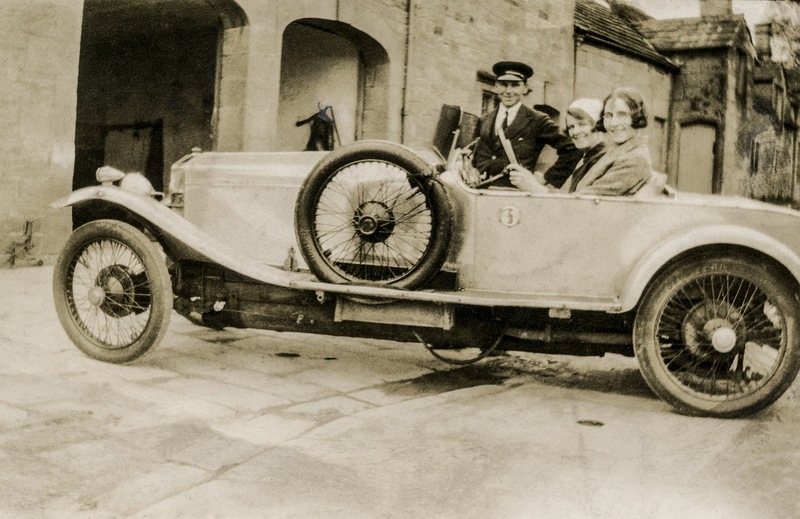 Could the gentleman in the uniform be the family chauffeur? The two young ladies - are they the daughters of the house? Are they just posing, or are they experienced drivers about to embark on the Paris to Dakar Rally? There will never be answers, of course, but he needs answers with a car like that! Old pubs gather history like magnets gather iron filings. Walk past any pub and you walk past a repository of stories of good and evil, happiness and despair. Better still walk into any pub and settle down with an old newspaper and a pint and invite the past to join you. 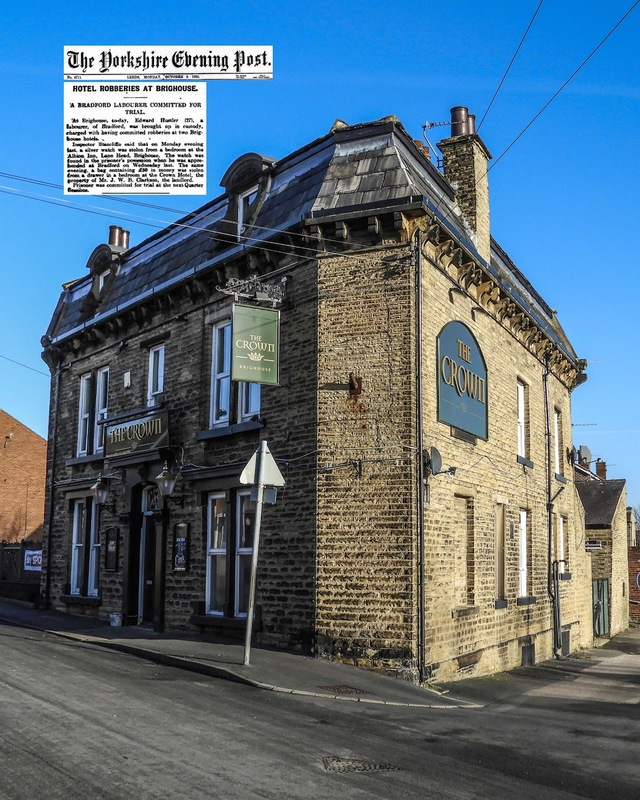 Take, for example, the Crown Hotel on Lightcliffe Road, just north of Brighouse. The date is the 9th October 1905 and criminal misdeeds are afoot. At Brighouse, to-day, Edward Hustler (27), a labourer, of Bradford, was brought up in custody, charged with having committed robberies at two Brighouse hotels. 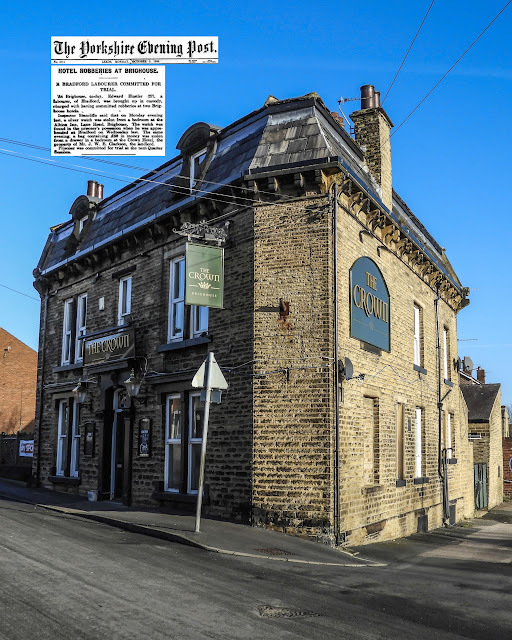 Inspector Stancliffe said that on Monday evening last, a silver watch was stolen from a bedroom the Albion Inn, Lane Head, Brighouse. The watch was found in the prisoner’s possession when he was apprehended Bradford on Wednesday last. The same evening, a bag containing £50 in money was stolen from a drawer in a bedroom at the Crown Hotel, the property of Mr. J. W. B. Clarkson, the landlord. Prisoner was commit ted for trial the next Quarter Sessions. And as you drink your pint you can reflect on the fate of poor Edward Hustler and the good fortunes of the landlord and his £50. 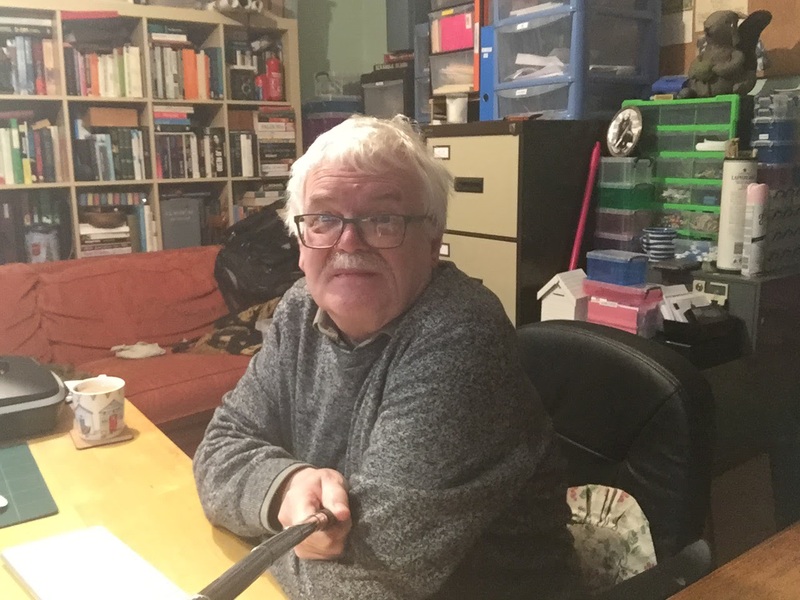 I have been watching a programme on TV about the methods archaeologists use in trying to date a site, and I have come to realise that it is a similar process to the one we use to try and date old photographs. This photograph of my room way back when provides a good example. Like all old photographs it is full of clues and it is just a matter of dating the individual elements and working towards an overall probable date. At first I thought I recognised the room - and in particular the wallpaper - which gave me a date of somehow around 1983; as we moved from that house in the mid 1980s. 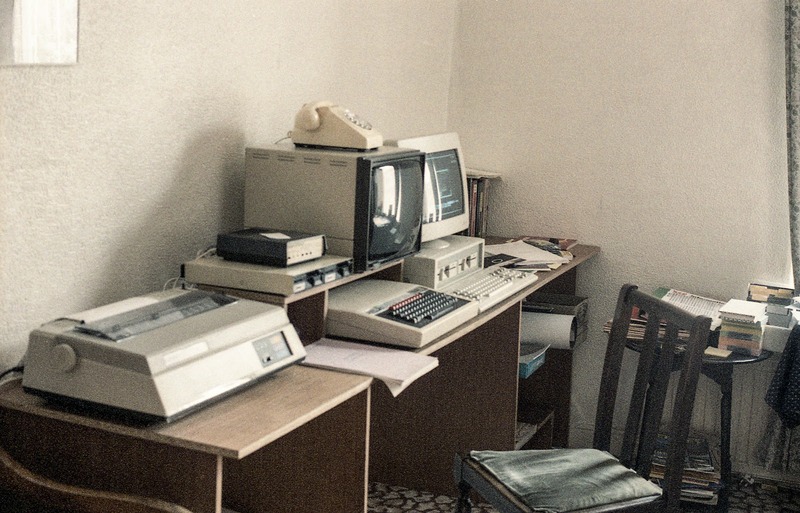 The BBC Micro computer would fit in with that timeframe : I seem to remember acquiring one a couple of years after they were first introduced in 1981. But the rest of technology throws such an estimate into confusion, as that is an Amstrad PC1512 sat next to the BBC and they weren't introduced until 1986. And that is an early modem sat on top of the BBC's disk drives and such things weren't around until the latter part of the 1980s. These later technological finds shift the probable date to the late 1980s which shifts the location about two and a half miles further west than the original estimated location. Now all that remains is for me to somehow place the jaw-bone of the Spinosaurus clearly visible under the table into the likely timeframe. 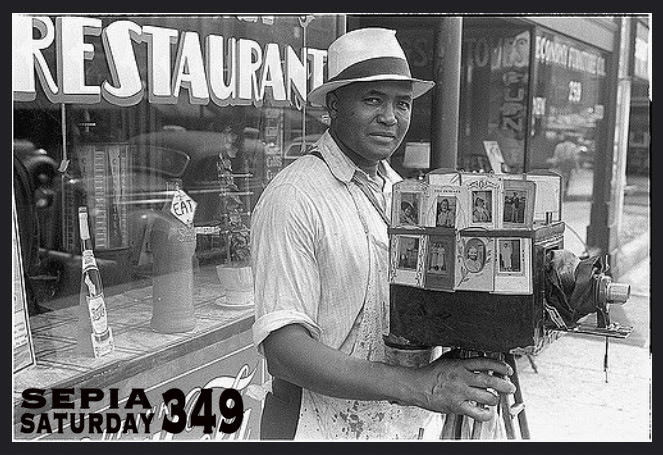 Sepia Saturday 350 : Who Is That Over Your Shoulder? Sepia Saturday presents us with a challenge this week by featuring as its theme image, a photograph within a photograph. 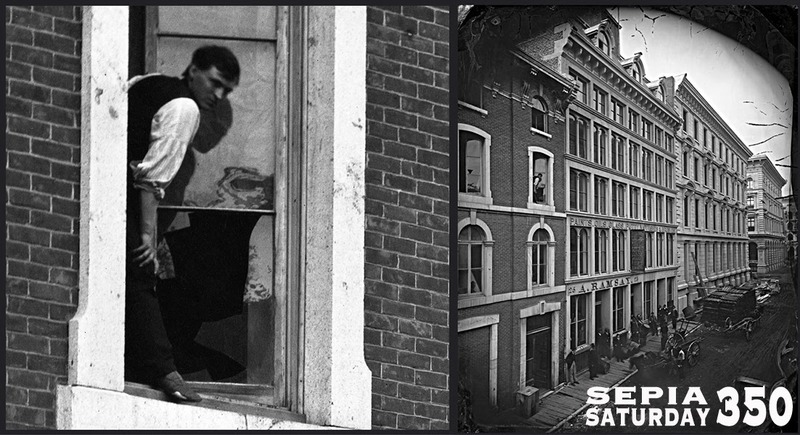 A selective enlargement (on the left) of the main image (on the right) reveals a man precariously balancing on the ledge of a window. 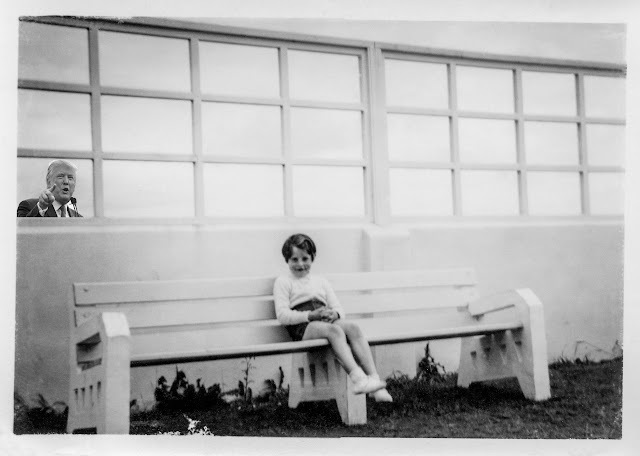 I decided to look through my box of unloved and unknown photographs to see if I could identify anything of a similar nature - and the best I could come up with was this photograph of a young girl sat on a bench within one of those municipal shelters you often find in parks and gardens in rain-soaked Britain. 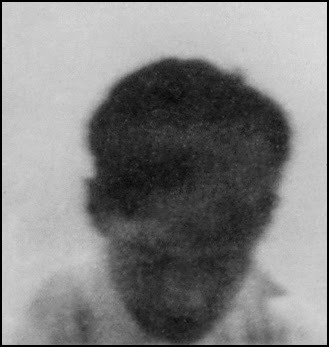 The photograph within this photograph is the mysterious head that appears within the lower left frame of the window behind the shelter. 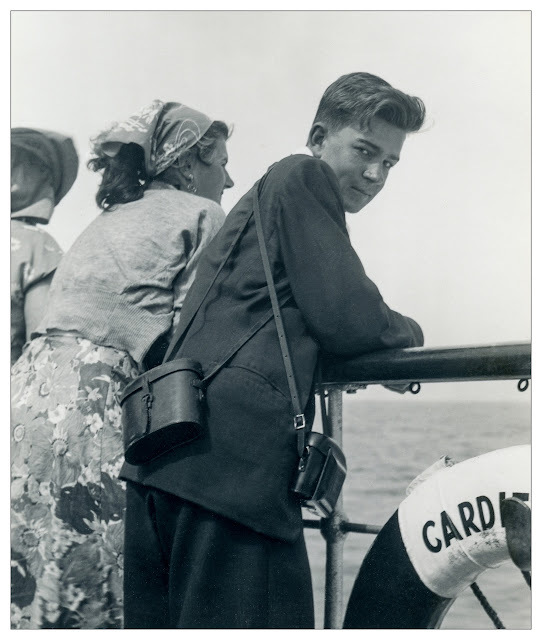 Could this, perhaps, be a sibling who had been forced out of this photo opportunity, but was intent on leaving his mark on recorded history nevertheless? Digital scanning technology allows us, of course, to selectively enlarge that area of the original print that we are interested in, in order to obtain more clues as to who this interloper may be. An initial scan provides us with few clues - merely an out-of-focus shape, reminiscent of a human head. Technology, however, is nothing if it is not smart these days, and there are many software programmes available that will automatically enhance images of such poor quality. Making use of one such programme - I recently obtained from a Russian supplier - I came up with a rather surprising conclusion to my investigation. I will say no more. If you would like to see more photos within photos then take a trip to the Sepia Saturday Blog and follow the links. The other day I bough a small job lot of Victorian photographs on eBay, and when the parcel arrived there was a broken glass slide within them. It wasn't advertised as part of the original lot so I had no cause for complaint about the breakage; and scanning technology easily allows bits of glass to be sewn back together again. What emerged from the scan was a fabulous old photograph of a Victorian woman holding a book. I wouldn't care to speculate as to the date of the photograph although it must easily be 150 years old. The broach around her neck looks like it has been hand-coloured on the original glass plate. All in all it is a wonderful find and evidence that a lady - who must have been born in the eighteenth century - can still send a pulse of excitement through the tired bones of a twenty first century blogger. It's ages since I did a Sepia Saturday post - so I am marking a new year with a new resolution. However, the prompt for Sepia Saturday 349 must be one of the hardest ones of all for a photographer to match - we photographers pride ourselves in taking pictures rather than featuring in them (indeed, there is a school of psychology which suggests that people become photographers in order to avoid appearing in photographs). After searching through all my old photographs and all my family photographs, I came up with no potential theme-matchers. It was only when I turned to the drawer full of unknown and unloved photographs that I identified a possibility. A possibility may have been identified - but that was the only thing identifiable about this simple old print. The young chap could be anyone. The sea looks Bleak British Grey; but it is a monochrome photo and it might be the sunny Caribbean for all I know. The half a name looked hopeful - I suspect it must be "Cardiff", but the only ship of that name I can find is a container ship built in 2014. I cannot even positively identify the make of camera the young chap has slung over his shoulder, although it looks like one of those fold-down bellows roll film cameras popular in the 1940s and 50s. 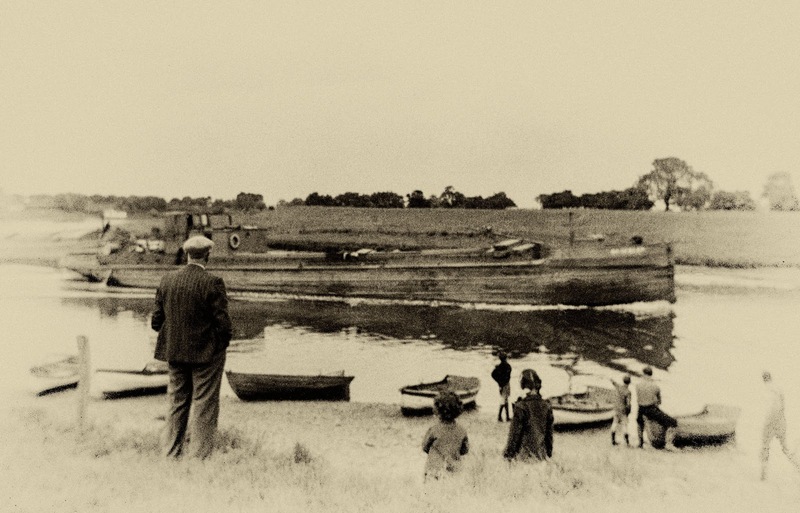 Despite all the unknowns, Sepia Saturday has forced me to look at this simple old photographs and think a thought or two. And that, is what Sepia Saturday is all about. To see what others are doing this Sepia Saturday, go to the Sepia Saturday Blog and follow the links. As part of my meaningless ramble through life towards a destination I will always be diverted away from, I like to gather picturesque detritus. 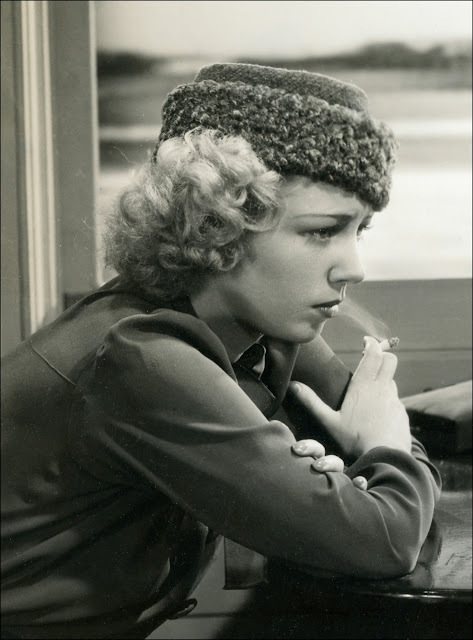 One source I am particularly fond of is original still photographs from vintage movies (such things can be bought for the price of a pint from specialist dealers). 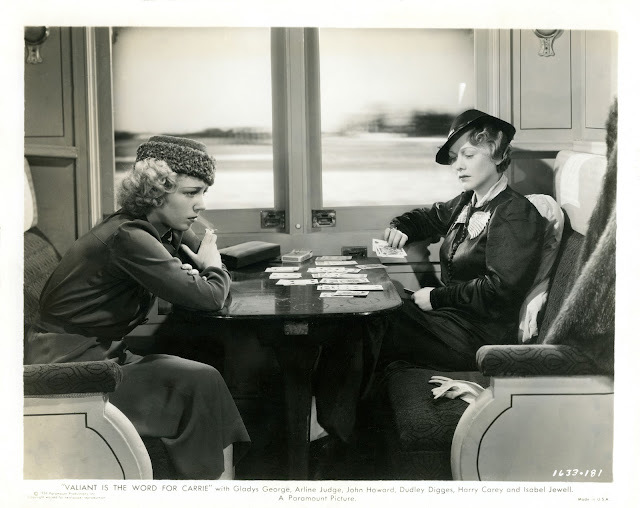 Here is a wonderful still I acquired just before Christmas, from the 1936 movie "Valiant Is The Word For Carrie". The film, which starred Arline Judge (left) and Gladys George (right), is probably long forgotten by many and never seen by most (myself included but I intend to change that). The plot is far too complicated to trouble you with this early in the new year (there is a summary HERE), but it is the photograph which appeals to me, and particularly that part of it which focuses on Arline Judge. 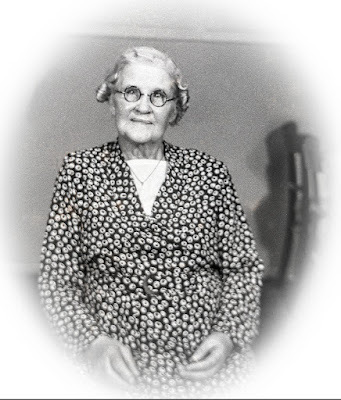 In many ways it's a pity, but the one thing that seems to be remembered about the lovely Arline Judge (1912-1974) was that she was married and divorced six times before she was fifty. Although she was old enough to be my mother (indeed she was born within a year of my mother) and when she ended her sixth marriage I was just becoming a teenager, I would have been more than happy if she had turned up on the rebound in West Yorkshire at the time. But she didn't - and all I have to remember her by is this delightful old photograph. If it is not too late, I would like to submit one further resolution for the new year ahead. In addition to being more disorganised, meaningless and less structured, I would like to follow more diversions in order to avoid getting to the place I intended to visit. Take, for example, history. 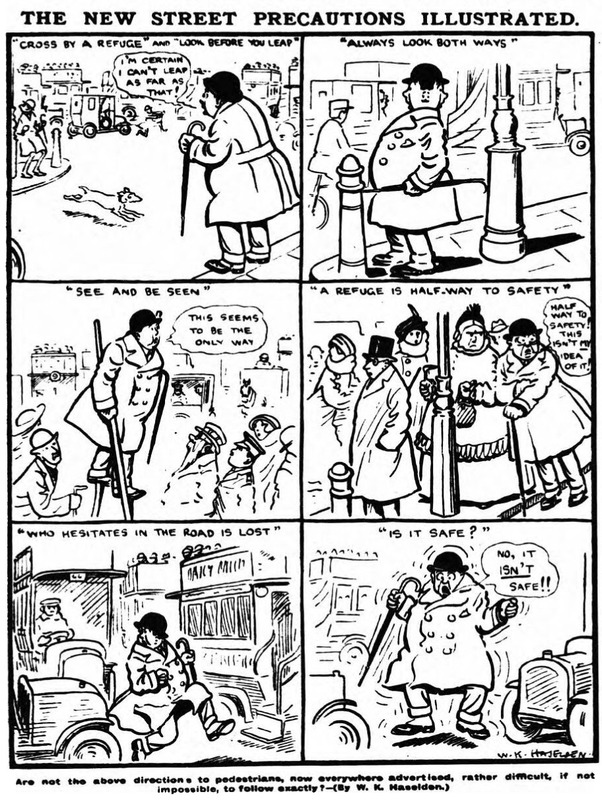 One hundred years ago important things were happening in the world and such tides in the affairs of men were reflected in the popular press of the day. I fully intended launching myself into an investigation of history by following such tides, but as soon as I turned to the newspapers of the day - in this case, the Daily Mirror of the 3 January 1917 - I got diverted by ephemera. Who cares if the German peace dream has been shattered when we can spy on the wedding of the Leader of the House of Lords, Lord Curzon of Kedleston. It was a second marriage for both Curzon and his bride, Grace Duggan, who were celebrities of their day. Curzon had flirted with political power, having been Viceroy of India and a leading figure in the Conservative Party. 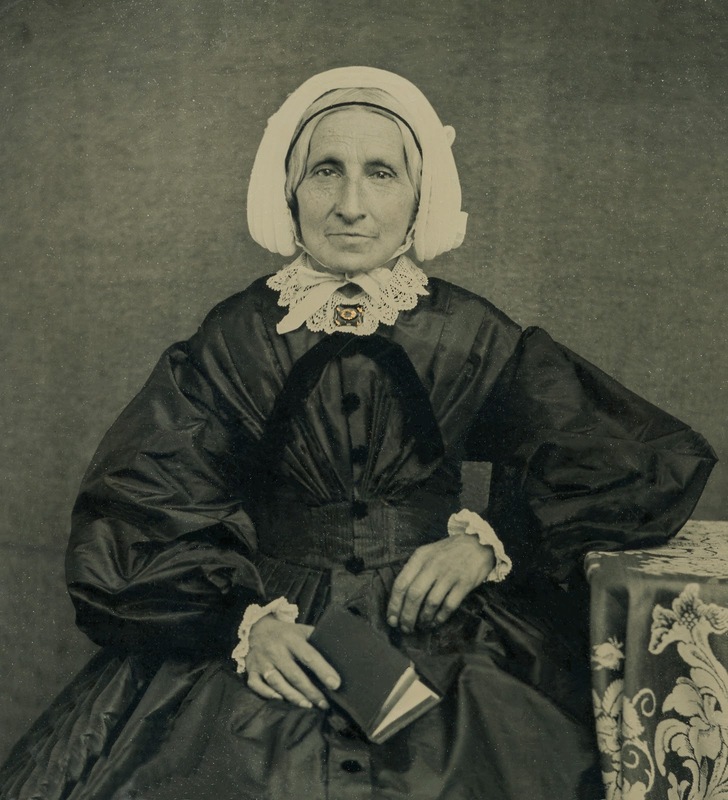 Grace was a rich American-born widow who had inherited from her husband significant estates in South America. 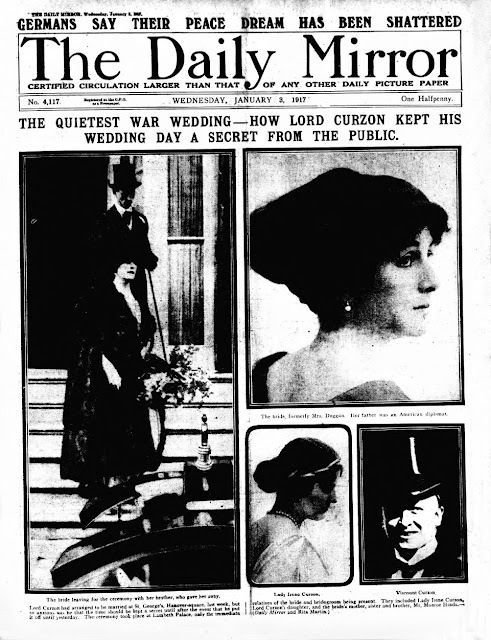 Six years after this wedding, Curzon was passed over for appointment as Prime Minister following the resignation of Andrew Bonar Law in 1923 and the appointment of Stanley Baldwin as PM by George V. This led Arthur Balfour - who had influenced the King in his choice of Baldwin - to quip "Curzon has lost the hope of glory but still possesses the means of Grace". Funny it may have been, but it was less than accurate as by this time the marriage had broken down. Just as I was at risk of being drawn into the realms of serious history, I got diverted across the road into the daily minutia of life and an advert from the London General Omnibus Company advising potential passengers to carry a white article such as a handkerchief or a newspaper at night in order to avoid being run over. 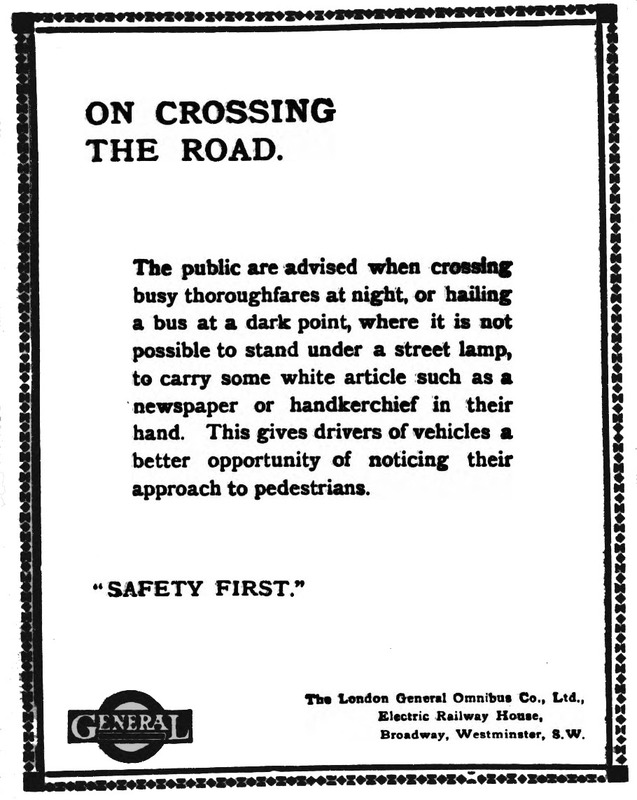 Road safety was a bit issue at the time, and the Daily Mirror gave its own take on newly published street precautions. BBC Radio (Radio 4 Extra) are currently repeating their serialisation of Peter Tinniswood's magnificent "Uncle Mort's South Country", and Lucy and I listen to it whilst we go a-walking. If the local population don't already think that there is something a little odd about me, they surely must do now, as I walk the streets a burst into uncontrollable laughter. I have never fully understood what poetry is, but if anything is poetry it is the writing of Tinniswood. 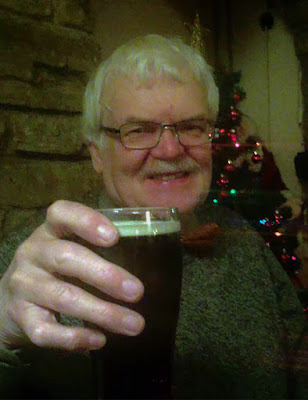 In the first episode there is a fabulous monologue by Uncle Mort about the nature of true ale. Sadly the book is now out of print so I have attempted to transcribe the dialogue to provide you with just a taste of what pushed me over the edge of madness. Carter Brandon and his Uncle Mort have embarked on a motor tour of "the south" and they stop off on the way at a pub for refreshments. On tasting the ale, Uncle Mort is propelled into his wonderful monologue on the nature of true ale. Do you know Carter, they have no idea how to brew ale in these parts, have they? Like the rings on a tree denotes its age. It should stain old ladies dentures and rot the stitches in the welts of industrial boots. And give you backache on Sunday morning when it’s time to fill the coal scuttle. It should be honest and assertive, masculine and dominant. And waistcoat pockets bulging with congealed treacle toffees. This stuff’s for tarts with dangling ear-rings. It’s for managers of Gas Showrooms and silly buggers who ask questions on ‘Gardeners Question Time’. It’s for tennis players and Japanese tourists with flash attachments and too many teeth. Micks, Taffs, Jocks, People with big ears, People with boil scars on thin necks. Ausies, Arabs, Spicks and people with threads of spittle plying between their lips. I’m not a prejudiced man, Carter. But this ale is not a patch on the muck that we get at home. Ask her to liven it up by putting a few mouse droppings in it! Now that is poetry. There is a recording of the part of the episode this comes from available on YouTube. If you can listen to it without laughing, I will buy you a pint of real northern ale the next time I see you. The turkey has been baked and the mince pies have been plucked. Stretching ahead of me is week after week of endless ... nothingness. Time to sit back and investigate the splendid presents I received and think seriously about new year resolutions. After what seems like buckets-full of dropped hints, Santa finally came up with the goods and delivered a selfie-stick. The only problem seems to be that he has delayed things so long that old-age has presented me with a tremor, which when multiplied by the laws of physics and the length of the said stick, means that the camera swings around like a drunken albatross, blurring every effort to capture my true likeness. My conclusion is that selfie-sticks are for the young. 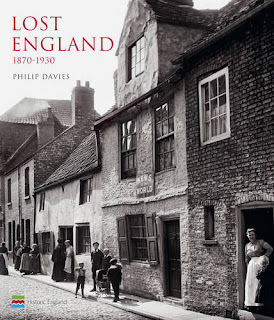 Not that I blame Santa, who surely suffered enough whilst delivering one of my other presents - the gigantic "Lost England" by Philip Davies (which surely must take the prize as one of the heaviest books published in 2016). His badly sprained back is a small price to pay for delivering this excellent volume, a full review of which I will provide in due course (if you still need it, Georgina). As far as resolutions are concerned, I intend to press on with the resolutions I put in place last year - to be more disorganised, more meaningless and less structured. I think I have done quite well in meeting these fine objectives over the last twelve months, but there is always room for improvement - so watch this space. I would like to finish by hoping that the year ahead brings us all peace and prosperity, but I seem to recall wishing the same things last year ... and look where that got us! Thus as 2017 appears over the horizon, I raise a glass and wish one and all, "survival".